Home / Case Results / Bronx Crosswalk Accident Lawyer Review: Brian G.
Bronx Crosswalk Accident Lawyer Review: Brian G.
On May 1, 2017, Brian was walking in the crosswalk on East 233rd Street and Byron Avenue in Bronx, New York when a speeding vehicle ran a red light and struck Brian. At that moment, Brian remembers getting hit causing the driver’s windshield to shatter. EMS arrived and transported Brian to the Jacobi Hospital Medical Center in Bronx, New York. 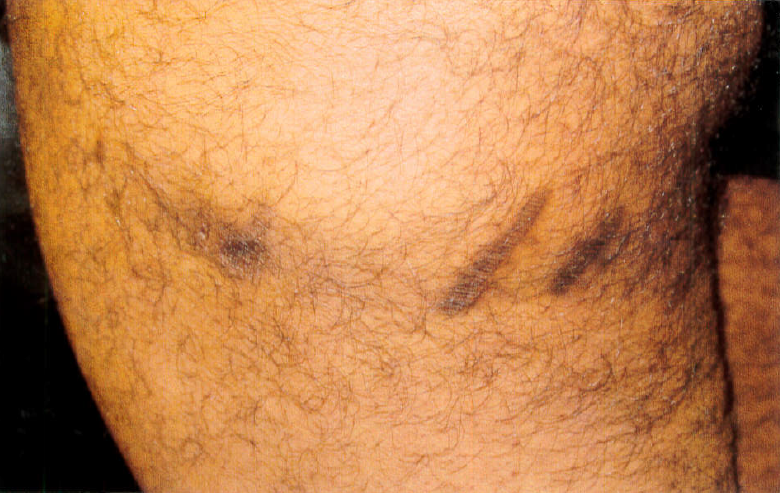 As a result of the accident, Brian sustained a contusion to his left rib cage and suffered a deep laceration (or “hole” as Brian described it) to his left thigh. The hole was sutured and stapled closed. The staples were removed two weeks later and Brian was left with permanent scarring, thigh pain, and a constant feeling of numbness around the scars. To make matters worse, the driver of the vehicle falsely claimed that he had a green light and Brian “crossed without warning” in the police report. The driver lied to the police! Brian knew he needed legal help immediately. Brian went to his family for recommendations and they said to call The Case Handler team! Since Adam Handler had successfully helped his own family members with their legal issues, he knew he could rely on his #FamilyAttorney. 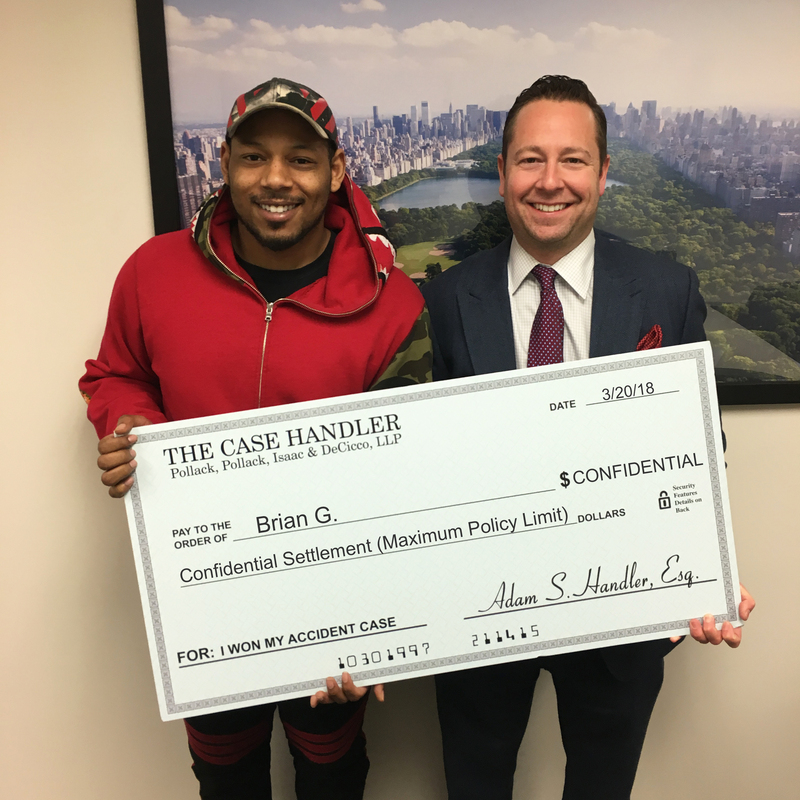 With the help of our experienced Bronx crosswalk accident lawyers at Pollack, Pollack Isaac & DeCicco, LLP, we were able to prove that the driver was at-fault for the accident and recovered the maximum policy limit settlement for Brian!